Jim had regularly been running for months — three marathons with no trouble at all. Everything seemed to be going great. Then, one day, after doing a relatively easy jog after work, he went home and sat down to take a nice drink of water. When he got up, the pain shocked him in his heel and at the back of his calf. It was so bad he had to walk with a limp for four days. Jim had Achilles tendonitis, a common yet painful injury that often occurs in runners but can show up in anyone who’s regularly active in one way or another. If you’re struggling with this sort of pain, there are a number of treatments available that can help, many of which you can do at home. Tendonitis means an “inflamed tendon,” most commonly caused by overuse or injury. In addition to the inflammation, there are usually small tears in the tissue fibers. In this case, we’re talking about the Achilles tendon (also called the calcaneal tendon), which is that tough band of tissue that connects the calf muscles to the heel bone. If you were to look inside the leg, you’d see two calf muscles — the gastrocnemius and the soleus — uniting into one band of tissue, which then becomes the Achilles tendon at the lower end of the calf. This is the largest and strongest tendon in the body and allows us to stand on our toes, walk, run, jump and perform many of the other activities we do every day. Noninsertional tendonitis: This type affects the middle of the tendon and is more common in younger, more active people. The fibers in the tendon usually have tiny tears in them, causing the tendon to swell up. Insertional tendonitis: This type affects the lower portion of the tendon, where it attaches to the heel bone. It can affect anyone, even if they’re not regularly exercising. Bone spurs may also develop with this type of injury. In both types of tendonitis, the damaged tendon fibers may harden over time. Symptoms include pain and swelling in the back side of the heel that gets worse when you walk, run or jump. Other symptoms may include tight calf muscles, tenderness when the tendon is touched or squeezed, limited range of motion when flexing the foot, swelling or stiffness around the ankle and skin that feels warm over the heel. Age: As we get older, the Achilles tendon naturally weakens, which makes it more vulnerable to injury. High heels: Wearing high heels shortens the calf muscles, which puts strain on the Achilles tendon; wearing heels most of the time and then throwing on sneakers to go run increases that strain. 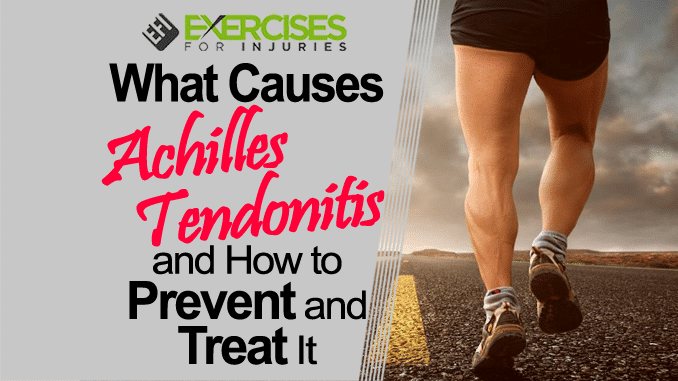 What Happens If You Don’t Treat Achilles Tendonitis Properly? When Achilles tendonitis first appears, it is very treatable. If you take the right precautions, you can be back on your training program within several weeks. 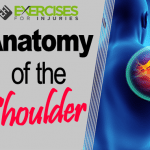 Without proper treatment, however, the injury will only get worse and could lead to some more difficult complications. First, the longer you try to “run through” the pain of the tendonitis, the worse it is likely to get, to the point that recovery takes much longer. Since the injury weakens the tendon, if you continue to push it, you could be at risk of a tendon rupture, which is a more painful and serious injury that typically requires surgery to repair. How Do I Treat Achilles Tendonitis? The RICE method: This method works well if you use it soon after discovering your Achilles tendonitis. It involves rest, ice, compression and elevation. Rest the area for one to two days, which means refraining from exercise until you can walk without pain. Ice the affected area for 15 to 20 minutes periodically throughout the day. Wrap a bandage or athletic tape around the tendon to compress it and then elevate it above your chest when you’re relaxing in a chair or on the bed. 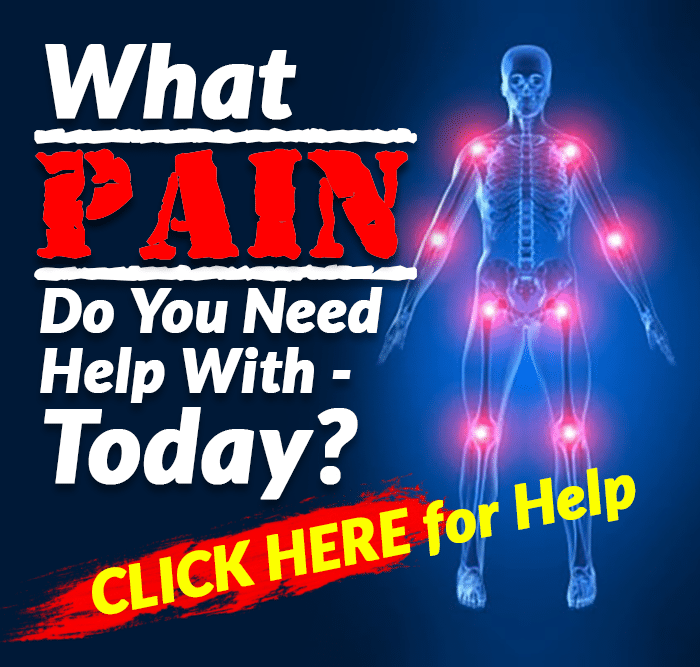 Medications: Over-the-counter pain medications can help to reduce the swelling and pain. If the pain doesn’t respond to these medications, a doctor may prescribe stronger ones. Physical therapy: A variety of exercises can help promote healing of the tendon while strengthening the muscles around it so that they can better support it in the future. Orthotic devices: These are inserted into your shoes to help elevate the heel and relieve strain on the tendon. Extra cushioning in the shoe can also ease the forces applied to the tendon. Night splints: This help keep the Achilles tendon stretched during sleep, so you don’t wake up with a tight, painful tendon. Surgery is usually reserved as a last resort and is performed only if months of other treatments fail to work or if the tendon is completely torn. Employing stretches and strengthening exercises into your workout routine can help you recover from Achilles tendonitis and can also help prevent the injury in the first place. Below are some of the most commonly recommended for keeping you walking, running and jumping comfortably. The following three exercises all employ the use of exercise bands. Ankle eversion: Place the foot inside the loop of the band, then anchor the band to a stable object nearby. Using your ankle only (not the leg), pull the foot against the resistance band and away from the anchor object by moving your foot outward. Keep the knee straight. Repeat with each foot. Ankle inversion: Repeat the exercise above but pull the ankle in the opposite direction — inward instead of outward. Ankle dorsiflexion: Sit on a chair or exercise ball. Loop the band around your foot, and then step on the ends of the band with the opposite foot. Using your ankle only in small movements, move your foot upward, toward your body. You should feel the work in your shin muscles. Physical therapists also recommend that you strengthen and stretch the calf muscles. Research has shown that so-called “eccentric” calf muscle training may be particularly helpful in treating chronic Achilles tendonitis. Exercises can be divided into “concentric” types and “eccentric” types. Eccentric means that you’re lengthening the muscle through the exercise. So, when you stand on your toes, you shorten the calf muscles (concentric). However, when you drop back down or drop even lower over the back of a stair, you lengthen the muscle through that action. Eccentric training involves repeatedly doing this sort of muscle work slowly and purposefully, so you may stand up on your toes, and then very slowly lower back down. This helps to strengthen and lengthen the muscle and is believed to lead to faster muscle repair. Straight-knee heel drop: Stand on one foot on a step with the heel raised up and over the space beneath. Lower the heel down gradually to be parallel to the ground. Keep the leg straight. Then, push up to the starting position and repeat 3 to 15 times twice a day. If you’re already injured, when performing the exercise on your injured leg, use the good leg to help lift you back up, and then use the injured leg to lower yourself back down only. The exercise may be uncomfortable, which is OK. If it hurts a lot, talk to your doctor. Bent-knee heel drop: Again, stand on the step but, this time, bend your leg that you’re working at the knee. Raise the heel, and then slowly lower it to be parallel to the ground while keeping the knee bent. Return to the starting position and repeat 3 to 15 times twice a day. 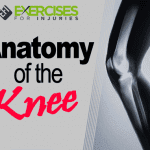 Follow the same instructions as those above if you’re already injured. Wall stretch: Lean against a wall, both hands on the wall. Place one foot behind you with the leg straight and the heel on the ground, the other foot in front of it, knee bent. Push your hips toward the wall until you feel the stretch in your calf. Hold for 10 to 20 seconds, release and repeat. Bent-over stretch: Stand with one foot in front of the other. Bend the back knee, and then bend forward over the other leg while keeping it straight. Grab onto the front foot underneath the toes and pull up on the toes until you feel a stretch in your calf. Hold for 10 to 20 seconds and repeat on both sides. The “downward dog” yoga pose also helps stretch the calves. If you’re already injured, foam rolling the calves and massaging them may be more helpful than stretches until you start to feel better. Wear good shoes: Don’t skimp on this. Make sure you get a good, supportive, cushioned shoe that works well for your foot. If you pronate, have a flat arch or a high arch, talk to your podiatrist about the best type of athletic shoe for you. Use orthotics: Supporting your arches and heel with orthotics can save you pain. Don’t overdo it: Never run or play through pain. If you feel something’s wrong, it probably is and overdoing it will only make it worse. Increase gradually: If you want to run longer, faster or harder, increase your activity very gradually. If you’re starting a new type of workout, go slow. If you play sports on the weekend, be sure you’re training throughout the week too. Stretch daily: If your calf muscles are tight, you’re putting more strain on your Achilles tendon, so make sure you’re stretching those muscles each day. The best routine is to stretch in the morning, before exercise and after exercise. 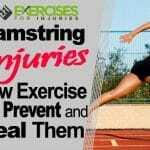 Cross-train: Engaging in just one form of exercise repeatedly increases your risk of injury. Mix it up with other types of workouts. Strengthen the calf muscles: Strong calf muscles support the tendon during exercise, so work strength training into your weekly routine.